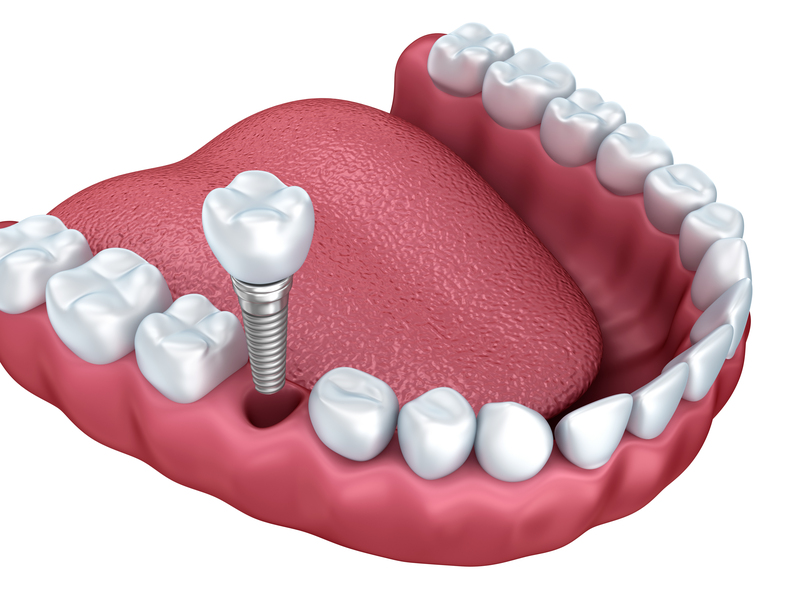 At Bollinger Canyon Dental, we offer the very best in San Ramon dental implant care. Imran Rizvi, DDS has been working with dental implants in San Ramon, CA for the last 10 years. He is proficient in all areas of the field, including new implants, upgrades to old implant work and restorative implant dentistry. Working both traditionally and with computer guided surgery, the doctor will be able to advise you on the best possible path to a beautiful smile. Dr. Rizvi also uses continuing education to utilize the most cutting edge techniques and ensure patients receive the highest quality of implant treatment. Thanks to advances in medical and dental science, a dazzling smile is now more achievable than ever. Dr. Rizvi works with the latest in ceramic crowns, which are just as durable as metal lined crowns, but more aesthetically pleasing and do not expand and contract in your mouth with temperature changes. Metal lined crowns can sometimes show up in your smile, or can create an unsightly black line in an otherwise perfect tooth. Dr. Rizvi not only does new ceramic implant work, he can also upgrade old metal crowns to new ceramics, making your smile not just brighter, but more comfortable. In addition to ceramic crowns, Bollinger Canyon Dental also provides mini dental implant services at our San Ramon dental implants office. With years of experience in mini dental implants, Dr. Rizvi can replace individual missing teeth, and can preserve the bone tissue of the jaw to prevent the bone loss that missing teeth can cause. Working with Nobel dental implants for superior quality, color matching and durability, the Bollinger Canyon Dental staff can replace cracked or missing teeth to restore your smile to as good as new. If you are seeking dental implants in the San Ramon area, see Dr. Rizvi today for a consultation. The doctor provides every patient with images, x-rays and a discussion of the best treatment plan. Bollinger Canyon Dental also has a mobile lab for further imaging, so if additional images are needed, they can be taken in the office or in a patient’s home, making the entire process more convenient for you. Getting dental implants is simpler than most think. In fact, with most treatment plans, you can usually go to work the day after your surgery. Dr. Rizvi’s gentle, helpful and knowledgeable staff makes getting dental implants in San Ramon, CA quick and virtually painless; the most you have to do is avoid eating popcorn and other crunchy foods for a few days.